The Killer Content System is a program that has been circulating around the web and that promises to be one of the sure-fire ways to make money online. It also promises to make you this money without you needing to have any special skills or experience online whatsoever. Does this system actually deliver on its promise to make real money online or is another one of the scams that keep going around the web today? Read my full review to find out more. ▪Very low cost in order to get started. ▪Offers plenty of video training to keep you busy. ▪There is no free trial. You need to pay in order to use the system. ▪No online community aspect so you cannot get the help or insight when you need it. ▪The information you are given during the training becomes redundant after a while. This system was originally designed to help people who have no experience using a computer, let alone any marketing experience. 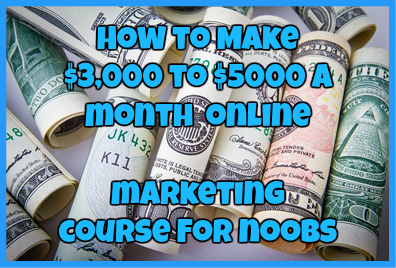 However with all of the different pricing and marketing options there are too choose from, I would not recommend this program for any beginner as they may find themselves confused before they even realized it. ▪How to properly target nearly 3345 subscribers only doing two hour’s worth of work. ▪How to build a successful list on eBay for free while making real money online at the same time. ▪How to successfully make approximately 68% more money by reselling the rights of your products. ▪How to find the right niche for you that will make you the most money. ▪How to easily come up with over 30,000 different keywords in less than 3 hours of work. As for tools that this system has to offer, there is a variety that you can choose from. One of the tools that I did like was one called the Article tool which is used to connect each of your different websites together. Another useful tool that is offered is called the Money Maker tool and this is used by using built in banners that can be easily added to any of your websites. One of the things that this system says it has is a full support system. This is a straight up bold faced lie. The “support system” is just a simple ticket system and email system that doesn’t necessarily mean you will receive a response when you need it. Trust me, you won’t get a response either. This is the primary reason why I call this system a borderline scam: it cannot deliver on its promises. In my honest opinion the Killer Content System seems to be one hell of a solid program at first, until I noticed a few crucial mistakes. The content of the video training is great, except for the fact that it is clearly outdated which makes it unusable in terms of making you real money online. Also, the tools themselves while they may seem helpful are more likely to get you in trouble with Google rather than helping you to rank your website higher with them. While at a first glance this program may seem like a great investment, I wouldn’t recommend it. 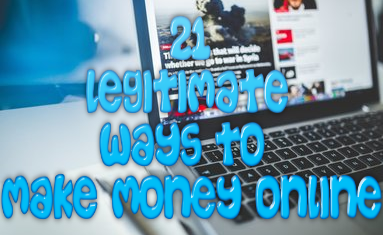 There are more valuable and better alternatives out there that can guarantee to make you real money online for free and without getting you into trouble in the first place. Have you had any experience using the Killer Content system for yourself? How was your experience? Either way I would love to hear from you. Simply drop me a detailed comment below telling me all about it.